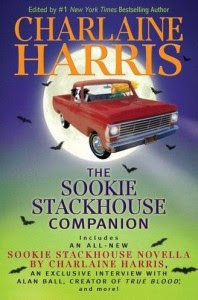 Usually we have to wait until May to hear more about Sookie Stackhouse by author Charlaine Harris, but today we are treated with a brand new book, The Sookie Stackhouse Companion that has all kinds of good and fun stuff in it. There will be a new short story about Sookie that involves John Quinn. There is also an interview with True Blood series creator Alan Ball.